The exact value of your case depends on specific details, including the circumstances under which you were hurt and how badly you were hurt. However, insurers and attorneys both consider a few important factors when determining what a personal injury case is worth, and our firm can further help you understand your claim’s value through our database of case information. What happened leading up to the incident? Do you have any pre-existing injuries? Have you already seen a medical professional, and did you pay any medical bills? Will you need to keep seeing a doctor? For how long? Will your injury keep you from working? For how long? Has the injury changed your ability to engage in daily activities? Has your family—perhaps your spouse or children—suffered as a result of your injury? If you’ve been recently injured and need help determining whether or not you have a case, contact us to discuss your situation. The attorneys at the Holton Law Firm will put their many years of experience to work for you, so give us a call at 888-443-4387. What does it cost to hire a lawyer on a contingency fee? How many jurors will decide my case? Do I Have a Valid Injury Case? Lawsuits are not uncommon. In 2013 alone, 284,604 civil cases were filed, according to the United States Courts. People who are involved in a personal injury accident often need to file a lawsuit to help pay for their medical bills and damages. To determine if you have a valid injury case, an experienced lawyer can help you answer three important questions about the injury, cause, and the link between the two. The first question that needs to be answered is if you were injured. A claimant’s injuries are an important part of a successful injury lawsuit, and the outcome of the case may depend on how serious those injuries are. If you sustained injuries in a car accident, after medical treatment, or while using a manufactured product, you may be able to recover monetary compensation for present and future medical treatment, lost wages, property damages, and pain and suffering. Did Someone Make a Mistake? That someone broke traffic laws that caused your car accident. You’ll need to show evidence that the other driver was at fault in some way such as driving while distracted or drunk, running a red light, or failing to yield. That you were injured after using a product. You’ll need to show evidence that the manufacturer used defective parts or ingredients, or the distributor damaged the functionality of the product. That you were injured after medical treatment. You’ll need to show evidence that medical professionals who treated you breached the expected standard of care while administering medication, performing surgery, conducting tests, or prescribing medication. Did the Negligence Directly Cause Your Injuries? Car accident. A lawyer will scrutinize the circumstances surrounding the accident. This includes outlining the events leading up to it and interviewing witnesses. Defective products. A lawyer may purchase the defective product, send it out to qualified experts who can identify malfunctions, investigate who knew about the issue, and discover what measures (if any) were taken to correct the defect. Medical negligence. A lawyer may gather medical records, review them with known medical experts, and identify evidence that might show negligence. The best way to determine if you have a valid injury case is to contact an experienced lawyer. It’s also important to be aware of the time restrictions that come with filing an injury claim. The team at the Holton Law Firm has been successfully handling injury lawsuits for decades, and we’re here to answer your questions about the validity of your case, too. Reach out to us by starting a live online chat. How Can I Tell if I Have a Valid Injury Claim? What are the costs to hire a lawyer on a contingency fee basis? According to the U.S. Bureau of Labor Statistics, over 600,000 lawyers practiced law in 2015. When you begin the research process to hire a lawyer for your unique case, you will find that some attorneys operate on a contingency fee basis. This type of fee between lawyer and client allows the client freedom to hire a lawyer without paying large sums of money up front. How Does a Contingency Agreement Work? If your lawyer wins your case, he will receive a percentage from your award or settlement as payment for his services. If he loses, he does not charge any fees for his work on your case. However, it’s important to remember that you are still responsible for paying certain fees, even if you lose your case, such as court fees and costs for expert witnesses. 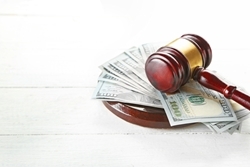 Why Do Attorneys Offer Contingency Fees? Lawyers may exhibit a higher level of motivation to earn you the highest award or settlement possible. Your lawyer wants to get paid for his time while advocating for your safe and healthy future, so he will advocate fiercely for your fair award or settlement. 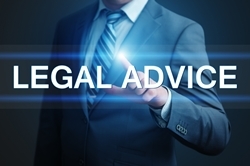 Lawyers offer help to people who may not be able to obtain legal help otherwise. 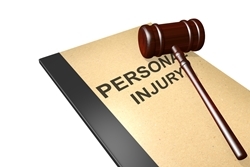 Personal injury victims often have many financial challenges. For this reason, many injury victims think that quality legal help is too far out of reach financially. Lawyers who offer contingency fee agreements help those who could not afford to hire an attorney who requires up-front fees. Your case matters, and the attorneys at the Holton Law Firm want to help you fight for what you deserve. We work hard for every one of our clients and want to make quality legal help easily accessible. That’s why we work on a contingency basis. To get started on your case, start a live chat with us on our website. What Courts handle Civil Lawsuits in Tennessee? A subpoena duces tecum is an order from the court that requires that you appear with certain documents (books, papers, or other physical evidence) or electronic data. Sometimes, this kind of subpoena is called a “subpoena for the production of evidence,” and it’s usually requested when the parties involved in a case, or their attorneys, need documents from a third party not involved in the case. In the state of Tennessee, this subpoena can be served by a sheriff, one of the attorneys in the case, or by a Private Process Server. Once you get a subpoena duces tecum, you must appear in court and bring the requested documents with you. Is a Subpoena Duces Tecum the Same as a Subpoena? A standard subpoena, also called a “subpoena ad testificandum,” is different from a subpoena duces tecum which does not require the third party to testify in court. All that’s required is for the third party to present the necessary documents. Sometimes, both types of these subpoenas are combined in court. For example, if a person is summoned to give a deposition, he may also have to present the required documents. This is a common practice in court. In the past, a subpoena duces tecum usually required that a person deliver the specific items to the court where the case was taking place. However, today it is more common for the documents to be delivered to the attorney’s office that originally creates the request. The subpoena duces tecum usually includes a date and time for the delivery of these documents, and if this deadline isn’t met, the third party can face penalties. If you have any questions regarding subpoena duces tecums or any other type of subpoena, don’t hesitate to contact the Holton Law firm at 888-443-4387. We’re happy to help you, or you can also explore our Frequently Asked Questions page on our website. How Much Do Your Lawyers Charge Per Hour? Can I sue the other driver even If I got a ticket after a wreck? Following your crash at a four-way stop intersection, you were issued a ticket by the officer who responded to the incident. You are certain that you were not at fault and that the other driver failed to stop at all before hitting you in the intersection. Since you were ticketed, you are wondering if there is any action you can take to recover damages from the other driver. Rest assured, all is not lost. It may still be possible to assign fault to the other driver. Interview witnesses. If you were able to collect names and phone numbers of witnesses at the scene, your attorney will be able to easily locate them for follow-up interviews. If you did not get this information, it may be available from the police report. Reconstruct the crash. Attorneys often work with an accident reconstructionist who can examine tire markings, damage done to the cars, and photos of the scene to determine exactly what happened. Obtain surveillance footage. If there are surveillance cameras in the area, footage may show the accident. An attorney will be able to secure this footage and submit it as evidence. Depose the other driver. Before presenting your claim to the other driver’s insurance company, an attorney will question the other driver and get his version of events. Correct or amend the police report. If the police report reflects the events incorrectly, an attorney can file a correction or amendment to the report so that insurance adjusters can hear your side of the story. If you truly were not at fault in the accident, these actions should prove that definitively and you could be compensated the full amount of your damages. However, if there is any doubt as to your contribution to the crash, you may end up sharing the blame. If the insurance company finds that you are partially to blame in the wreck, despite obtaining all the evidence you can, you may still be entitled to partial compensation. Under Tennessee’s modified comparative negligence law, if you are determined to be 49 percent or less at fault for the crash, you may be awarded the amount of your damages minus the percentage of fault. For example, if your damages total $100,000 and you are determined to be 40 percent at fault, you will be awarded $60,000. If you are 50 percent or more at fault, however, you will not receive any compensation. Determination of fault and comparative negligence laws are complicated legal issues. Don’t attempt to navigate these waters on your own. Call the Holton Law Firm now to schedule a free review of your case. You have nothing to lose! What Is Subrogation for an Insurance Company?